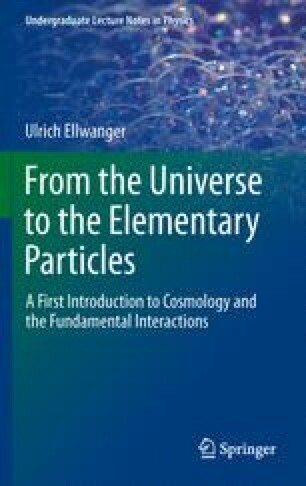 The phenomena and the properties of the related physical objects that will be discussed in more detail in later chapters are introduced here: the Big Bang and the expansion of the Universe, and the constituents of matter. Consideration of the composition of matter leads from atoms to nuclei, protons, neutrons, and quarks. The various forms of radioactivity and the forces between elementary particles indicate the presence of new fundamental interactions, the strong and weak interactions. The presently known fundamental forces, and the elementary particles we are made of, are summarized.